Dragonflies spend most of their lives, sometimes years, in the nymph stage. During that time they live in the water and feed on other insects and even small fish and tadpoles. 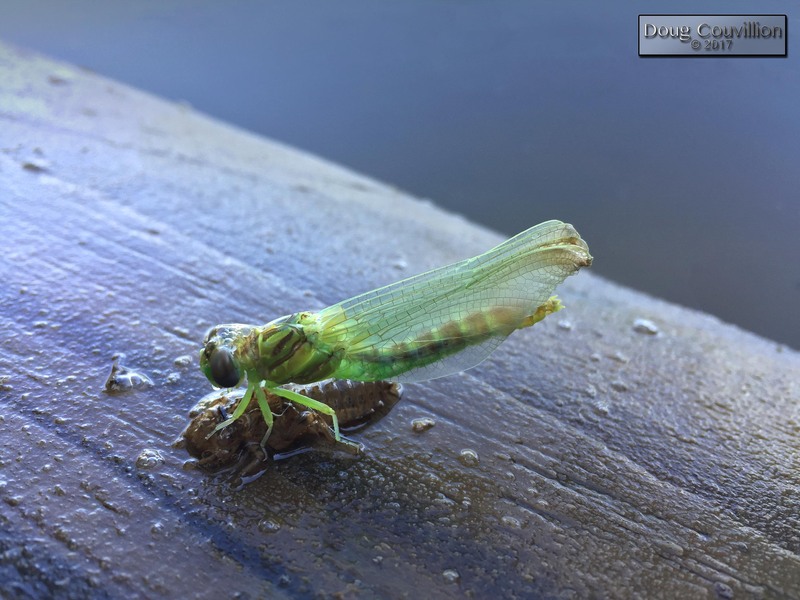 The damselflies on the Rappahannock River come in a wide variety of colors. I thought this red one was particularly colorful. This damselfly was patrolling a small, sunny patch of ivy when I encountered it in late August, near Richmond, VA. It seems like a common species but I haven’t been able to identify it. Colorful damselflies roam the shoreline of the Rappahannock River in Virginia. I photographed this one during a summer canoe trip. Another dragonfly found in my yard. They really seem to like using this fig tree as a resting place while they hunt. Apparently dragonflies are territorial. As I watched them I noticed they would frequently chase each other off and there would rarely be more than one on the tree at a time. 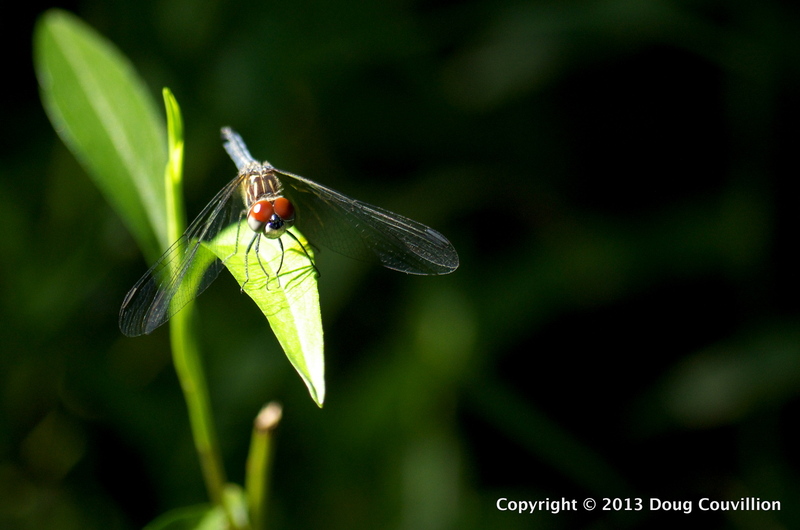 Here’s another dragonfly photographed in my backyard. This dragonfly seemed to rest with its wings pointing slightly forward. Dragonflies prey on mosquitos and anything that reduces the mosquito population is a friend of mine. Maybe its because we have so many mosquitos in the summer that so many dragonflies stake claim to our yard. I spent some time one summer day watching and photographing the dragonflies that buzz around my backyard. This individual almost seemed to pose for me. In this shot it looks like the dragonfly is smiling for the camera. This dragonfly stopped to rest on the bark of a tree. I was already set up, taking photos of the landscape, so I was able to photograph it before it resumed flight.